When I set out in June of ’09, I honestly thought the adventure would take about a year, and savings of just over $10,000 would see me through. A combination of working along the way and a nice tax return helped the bottom line, though the remainder is still sitting on my credit card. **NOTE: When I say everything else, I literally mean, everything else. Food and accommodation would certainly be the next two big categories, then maybe activities (like park entry fees, etc.). Everything you can possibly imagine is in there somewhere; oil changes, small ferries, toll roads, tire repairs, flip-flops…. If I spent money, it’s in the everything else figure. I did not include the following expenses for various reasons. The cost of the Jeep has been excluded, mostly because in my view it cost net zero. I bought the Jeep in August 2008 for $6,250 and drove it around as my sole vehicle until June 2009 when I set off on the adventure. Almost two years, and 65,000kms later, I sold the Jeep for $5000. Allocating the $1,250 difference to deprecation before the adventure even began, means it cost me net zero for the adventure. I’m extraordinarily happy with this. These were in fact very specific for this adventure, though with all the health-insurance refunds I’m pretty sure it cost me something less than $300. They are also good for 10 years, so I’m still getting value from them. I had almost everything I needed before setting out (tent, camp stove, hiking boots, etc.) although I did buy a couple of pricy things like my sleeping bag. I didn’t include them because I already had most of them, and the things I bought, I still have and use regularly. I owned my camera long before the adventure began, but I did buy my little laptop specifically for the adventure. I didn’t include it as an expense, because it’s a completely optional piece of equipment and I still use it all the time. $27k is an average of about $1200 a month for the 22 months I was on the road. I hope these numbers help people planning their own adventure. Feel free to ask for any clarifications. That seems like the hole trip was a good deal. Seems like it cost you a lot less then one would think. Was it hard to sell the jeep after such a long trip in it? It was a little difficult to part with my best friend, but it was time to move on to new things. Hey, you have any write-ups and pictures of your old jeep? How successful was the contribution campaign? I know that I made a donation through PayPal. Thanks for sharing your adventure. With donations and revenue from advertising here on theroadchoseme.com, I estimate I made something like $75/mo. At one point I had hoped to make enough to travel this way indefinitely, but it obviously didn’t work out that way. Today, I just finished reading your blog (very slowly) since I discovered it via your reddit Q&A about two months ago. I just wanted to say how amazing it was to read about your whole journey, and I’m aspiring to do something similar in a few years. Right now, I’m a 22 year old in my last year of undergrad getting a degree in electrical engineering. I’ve just finished up all the courses for my Spanish minor too. I just wanted to say thanks for writing your blog and for the inspiration. I’ve got a big list of great places to see and things to do, thanks to you. Hey Nathan, great to hear from you. Good luck finishing up your undergrad studies, it’s well worth it. If you have any questions in the future, or there is anything I can help with, don’t hesitate to ask. To me there is no price on adventure.You make your own,wherever you may live or maybe in life,as it is all,and should be one big adventure. It is what you choose to do with your time and money,that makes the adventure. Amazing Trip, I Would Love To Embark On The Same Trip, I Have An 06 Wrangler. How Much Previous Planning Did You Do? 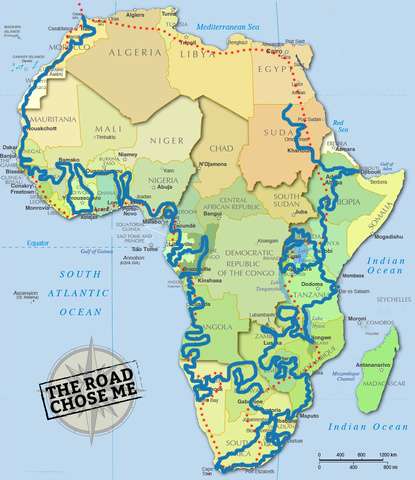 I planned the trip for about 7 months, preparing camping gear, checking entry requirements for countries, getting immunizations, and mostly trying to save money. If there is anything I can help you with to make the jump, just ask. Nice story mate! I’m setting out this fall from NYC up to and across Canada before going all the way down the Pan American. I’m in conflict on what car to get ? Looking at Toyota 4runner, Jeep Wrangler and Suzuki Grand Vitara. The japanese because I’m sure there will be parts, the Suzuki because of the fuel economy, but I like the Jeep the best, but have some concern about getting parts should it be needed. Did you repair your Jeep on this journey, if yes, did you find parts? Many thanks for taking the time to write your story and provide advise. Awesome to hear you’re hitting the road. You will have an amazing time. Checkout WikiOverland, the Encyclopedia of Overland Travel for all the info you’re going to need. It’s got everything like border crossings, paperwork, gas prices, birbery tips, camping, maps, etc. etc. for every country you’ll pass through. As to the best vehicle to take, it’s mostly personal choice. Jeep have a dealership in every country in Central and South America (Jeep International Site Locator) so you would be able to get parts if you absolutely need them. I didn’t have a single breakdown or mechanical issue for the entire trip, so it was never an issue for me. I’m wondering what ‘working along the way’ entails. I’ve considered heading down there with the intent of finding work, but am not sure where or what I would be able to do. I’ve got a (super usefule) degree in History/Philosophy, and am fairly handy, but my spanish is mostly from working in landscape agriculture for a couple years, so mostly I can curse…. You’ll find a job teaching English if you want it… ask around. It’s common for backpackers to work in Hostels in South America, usually just for room and food, not money. If you pickup any kind of “local” work, you’ll only make local wages, which won’t be enough to get you on the road. Thanks so much for posting about your adventure! All your questions are answered at the new Overland resource, WikiOverland. First, you’ll want to checkout the page on the Pan American Highway, which has a great overview of what you’re going to encounter along the way. Once you’ve read through that, you can click into each individual country and find the specifics – crossing the borders, prices to enter, paperwork requirements, gas prices, the cost of crossing the Darien Gap and how to do it, etc. etc. If you find the information useful, it would be fantastic if you could take 5 minutes each time you pass through a country and update the information – you can just click edit in the top right hand corner and change any information that is out-of-date, like gas prices or the process at the border. Let me know if you have any more questions, or require any help along the way. Hi Guys.. just a few lines to congratulate you on this amazing adventure.. i have been planning too much ( for 4-5 years ) and still need a year or so before my 18 year old kid leaves home and starts his University. Can you tell me what route did you drive in Mexico?? PS Where are you traveling at this time? Keep planning, you’ll get there. You will want to checkout WikiOverland, the encyclopedia of Overland Travel to help with all the planning you need. In Mexico, I drove down Baja California to the end, the took a ferry to Mazatlan. From there, I drove down the West Coast until just south of Tehauntepec, then crossed over to Cancun, and continued South into Belize. Mexico is an amazing country, you will have a fantastic time. Awesome trip! Very jealous. Thanks for blogging it too, lots of great info. Looking to do the trip soon myself. I had a couple questions. 1. How easy was it finding camping areas along the way? 2. Any recommendations on vehicles? Was kind of thinking of buying a Hilux in Mexico and taking that down. There’d likely be 2-3 of us on the trip so we’d probably need a bigger vehicle. 3. 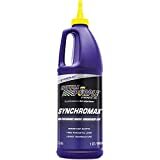 You recommend standard or automatic on the vehicle? I figure the former would be easier to get worked on in South America. The latter might fetch a better price in Argentina though?? Anyway, would love to hear more. Thanks! I’m happy you found it useful. Checkout WikiOverland, the encyclopedia of Overland Travel For tons more information that is kept up to date by people on the road right now. When you hit the road, please take a few minutes to update sections that have changed so it’s more useful for everyone coming behind you. Thanks! 1. Not hard. Many countries have camping sites, or I often camped off the side of smaller roads. I was never bothered. 2. 4×4 is not an absolute must, but high clearance and good suspension is. A hilux would be ideal, though I think vehicles in Mexico are expensive… Also getting it into your name could take some time. Have fun, let me know when you hit the road! How was the language barrier? Did you have to learn any Spanish or did you encounter enough English speaking people that could help you out? Though a trip like this one, you probably couldn’t help but to pick up some of the language along the way. In Mexico you can get by with very little Spanish, but after that it’s basically a must to learn Spanish. It doesn’t take long to learn the 50-100 words you need to get around day to day, but I wanted so much more than that, so I dedicated a lot of time to learning. A week of paid one on one lessons in El Salvador helped a lot, and I kept learning from there. 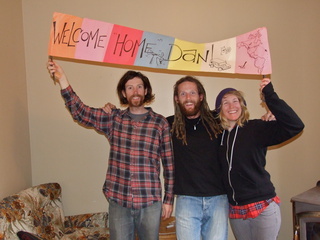 The five months working with locals at the hostel in Ecuador helped a lot too. By Argentina, I could understand 99% of everything, and I could say everything I wanted, sometimes just a little round-a-bout. I was have political conversations and would go weeks without speaking any English, so I am really proud of that achievement. I had never really tried hard to learn a language before, and I honestly didn’t know if I could. Spanish is a great one to learn, and people will be very encouraging of your attempts, even when you mess something up. I am really keen to do this trip with my family which will be 4 of us, our kids are now aged 20 and 17 so adult as well. 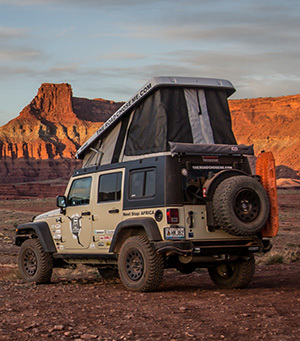 I think we should take a year over it and I would like to use a mobile home as our vehicle, is this a good idea or do you think a jeep is best and then camp/ hostel? Also, do you need to but the vehicle over there or is it best to buy here and get it shipped? The trip you did sounds to have been amazing and well, life is for living not just sitting around! With 4 people you’ll absolutely want something bigger. I know people do it in motorhomes no problem. The road is good enough. The biggest difference will be shipping across the Darien – a motorhome won’t fit in a container, so you’ll have to send it RORO, which gets expensive very, very fast. See Pan American Highway Overland Travel on WikiOverland for everything you need to know. Click through to each country to get the details. It’s an amazing journey for sure. Feel free to ask any other questions, I’m very happy to help in any way I can. Hi Dan! Its seemed like a lot of fun! You can absolutely make the trip, many people ride motorbikes every year. You’ll have to ask about something specific, there is so much to talk about! we are a German family of five (three kids 4,6 and 8 years old). September next year we have planned to leave Vancouver for heading south to Panama. We have done quite a bit of research and we are thinking of buying a jeep patriot to do this journey. Do you have any advice if this a good choice for this trip. Are there enough garages in those countries. Looking forward to getting in touch with you. A Jeep patriot would be a good vehicle, although I think it might be a little on the small side. There are Jeep dealerships in every country in Central America, though you’ll find better support for Toyota everywhere. Will you be camping? I can’t imagine you’ll have much room for gear with 5 people in a little Patriot. 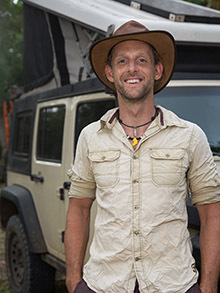 You will find the information on WikiOverland.org extremely helpful. Let me know if you have any specific questions, I’d love to help in any way I can. Dude, awesome trip and blog. Setting out soon for for Central America and South America. Driving my 1976 Porsche 912E until it drops. Not the best vehicle but it will be fun while it lasts. You mentioned working along the way. What did you do to make income? Wow, that will be a fun vehicle for sure! I’d love to see some pics, do you have a blog? I volunteered with helpx.net, and I managed a hostel in Ecuador for many months. Lots of hostels in South America will let you volunteer/stay for free, and if you’re good, they’ll likely offer you some kind of manager position. Unfortunately, if you try to do “local” work, you’ll old make local wages, which are not nearly enough to support yourself. I am looking to plan a US to Argentina (and back) run with no time limit in the next couple of years. The single biggest question I have is about traveling alone and what your thoughts are around this. Right now I have time to find a companion but would prefer to travel alone. Most of the material I have read on the web is with couples, partners / buddies or more. Is traveling single a no go in your opinion ? All the best and thanks for the fantastic information on your site. Traveling solo is absolutely not a no go. I did it, and I had a fantastic time. Being solo forces you to get further out of your comfort zone, meet locals, and challenge yourself constantly. It also forces you to learn the language much stronger, because when you want to make connections to people, you have to do it in Spanish. All that being said, it certainly has it’s downsides. I got lonely on the trip, and after a while it’s strange to keep doing so much stuff on your own. All these years later I don’t have anyone I can say “remember when we did…” because there was no one there with me. I’m extremely happy I went solo, I highly recommend it, though next time I’ll try hard to have a team-mate. All the best, good luck & have fun! Buying parts for vehicles can get tricky. A friend in Honduras asked my son in Maryland to get him a part for his RAV-4. My son bought it and we sent it to Tegucigalpa, Honduras. It didn’t fit. The RAV-4 sold in Honduras was made differently than those sold in Honduras. I’m just adding this as a precaution. I am anxious to travel to Honduras by land. Looking for someone reliable to travel with me. At my age, 67 year old woman, I can’t travel alone. However, a friend’s ex-husband drives to Vera Cruz frequently and I think I can travel that far in a caravan with him. I’d like to take a Glock with me. Would I run into problems? I know that Mexico has laws against guns, but that doesn’t seem to stop the narcotraficantes. What is your opinion? After I retire, I’d like to travel the entire pan-american highway. Maybe both ways. Puedo hablar espanol, no muy bien. Pero algo raro, la gente inteligente y educado me intienden bien. Los camposinos, no. Paso tiempo en Mexico, El Salvador, Honduras, y Ecuador. Casi sin problemas. jejeje. Quiero ver mucho mas. You are right, vehicles sold in different parts of the world can sometimes have different parts – especially engines because most of the world got diesels but North America did not. If you drive down a North American vehicle, you’ll be find if you get family in North America to buy parts for you and send them down. As for taking a gun – absolutely 100% No. There are huge signs when you enter Mexico that say you’ll get jail time for even having ammunition, let alone an actual gun. Guns laws in other countries are much more strict than in the USA. Trust me, you don’t need one, and you honestly don’t want one, you will get in serious trouble at border crossings. Good luck Mary, and have fun! I am currently using your adventure as a component to create a rough and general idea of what this whole experience is going to cost someone who embarks on it. I am going to be beginning the journey in Vancouver, Canada and travelling down to Argentina. I will be travelling with my girlfriend and also living out of my own vehicle. Having said this, I was also under the impression that my journey would be complete in 10-12 months and cost around 10,000 CAD (which is what I am currently budgeting for) plus my girlfriend’s contribution. After reading your journey and seeing that this now feels a little unrealistic. Out of interest without scraping down the fulfilment of it, do you think the costs could come closer to that amount? Say if the time were reduced, as I honestly do not think I will be spending close to 2 years on this trip (sadly). Your feed back is greatly appreciated. I’m happy to hear my info is useful to you and that you are setting out! Also checkout http://wikioverland.org/Pan_American_Highway#Cost For reports from others that have made the trip. This topic comes up all the time, and it’s broadly agreed that people spend something like $40-$100/day for 2 people on an overland trip. Could you do it for $10k in one year for two people? Probably, but would you really be taking advantage and enjoying the trip, or just rushing through? My budget is honestly the lowest I have ever heard of, and I was only one person for food, though I did drive a lot of extra miles. I wild camped as much as possible and cooked a lot which saved a ton of money. All the best, let me know if you have any other questions!